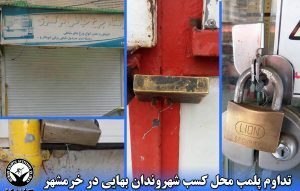 According to “BahaiNews”, the Office of Public Properties shut down the businesses of nine Baha’is in the Iranian cities of Ramsar and Sari on May 01, 2016. According to “BahaiNews” the businesses of these Baha’is were shut down and sealed by the Office of Public Properties because they were closed on Baha’i holidays. 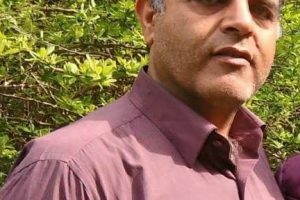 The Office of Public Properties has also been acting against other Baha’i businesses recently , as they have for a number of years. 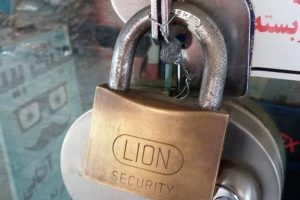 The businesses of these nine Baha’is in Ramsar and Sari were shut down and sealed by the government. Additionally, the businesses of close to twenty other Baha’is have been shut down by the same governmental office. Yesterday, “BahaiNews” reported that twelve Baha’i businesses were shuttered in the cities of Babolsar, Fereydunkenar and Bahnemir in Mazandaran Province on May 01, 2016. Recently there was similar news in the city of Tonkanbon. Starting April 20th the government issued orders to shut and seal the businesses of two Baha’is in Babol until April 29th. “BahaiNews” reported that the reason for shutting down these Baha’is businesses is that the Intelligence and Security agencies are against the nine-day annual closing of Baha’i businesses in recognition of the Baha’i holiday of Ridvan. In previous years, Baha’i businesses were often shut and their proprietors arrested following these holidays. According to the corporate laws of the country, those who have valid business permits are legally allowed to close their businesses for fifteen days a year; if they need more than 15 days, they must inform the Office of Properties.